THEY were the architectural treasures of their time, built at huge cost including gallons of blood sweat and tears, only to be abandoned or eclipsed. 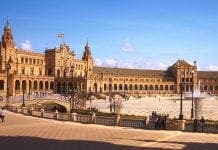 Fame was not their destiny, as it was for Granada’s Alhambra, Cordoba’s Mezquita or Barcelona’s Sagrada Família, all known to tourists worldwide. 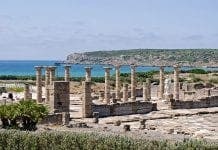 In a country where cathedrals come 20 to the dozen and Moorish ruins are regularly being unearthed beneath humble pueblos blancos, most people would be forgiven for thinking all Spain’s best-kept architectural secrets had been let out of the bag. But they’d be wrong. Check out our guide to seven monumental treasures now poised to stage their comeback. Pyrenees, although the snow-capped mountain scenery bears a passing resemblance to Tibet. 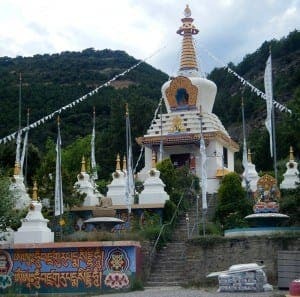 And, perhaps because of its unpronounceable name, the Vajrayana Dag Shang Kagyü Buddhist temple is largely unvisited by tourists. It is principally used by Buddhist pilgrims from across Spain who stop to rest up and seek enlightenment in the small, Spartan cabins for a day or two. Built on a farm in Huesca in 1984, the temple’s main feature is a 17-metre high Stupa. Although well off the beaten tourist track, it has room for 40 guests and full board is offered to anyone who wishes to stay, whether they know the words to the hare krishna mantra or not. 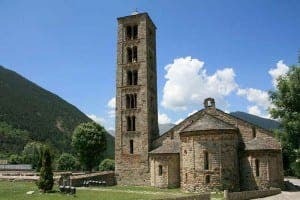 Few churches in Spain are omitted from the tourist itinerary but most foreigners and more than a few Spanish could tell you nothing about the Sant Climent basilica in Tahull, Lleida, even though it is a Unesco World Heritage Site. Built in 1125, it was virtually left to rot in peace until restoration began in the 1990s. Now the original leaky wooden roof has been replaced by stone and brick work. Much of the church’s furniture and artefacts which were on loan to nearby museums have also been returned to it to make the place feel more like God’s home. 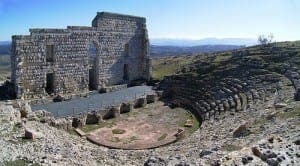 The Bronze-age settlement of Acinipo near Ronda is one of Andalucia’s best-kept secrets, even though the ruins spread across an area the size of 32 rugby pitches. With an impressive stone entrance, the town boasts an impressive 2,000 Roman amphitheatre complete with orange-tiled orchestra pit and actors’ changing room. Minting its own money throughout the first century, Acinipo gave way to Arunda (now Ronda) in 429, as it was easier to defend. The theatre now has a new lease of life as the stage for an annual classic Greek and Roman summer festival. One of the first Catholic Cistercian monasteries on the Iberian Peninsula, the 11th century building was once of the crowning architectural glories of Granja de Moreruela in Castilla y Leon. Initially home to 100 monks, more in its 13th century heyday when it was part-owned by the Prince of Zamora, numbers fell to just over 30 by the 18th century and no one knew quite what to do with it after that. It was declared an Artistic Historical Monument in 1931 but was not given protected status until 1981, by which time much of the surrounding lands had been sold. Spain may boast the second-largest high-speed rail network in the world but the signalman at Canfranc station has been out of a job for decades. 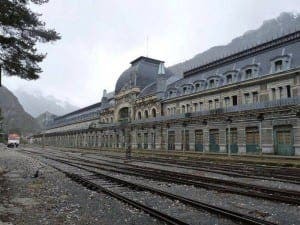 This abandoned 20th century railway station in the Spanish Pyrenees has known better times and was a vital trade gateway between Spain and France for much of the last century. Opened in 1928, it transported goods and Swiss gold during World War II but was brought to an abrupt halt in 1970 when a derailment destroyed a bridge on the French side of the line. Today, although the abandoned tracks are mostly overgrown, the buildings are largely intact and guided tours now run in July and August. 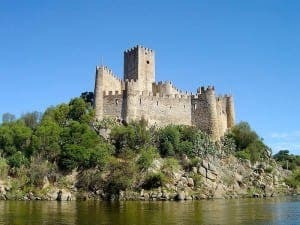 A former Roman castle which was also a Visigoth and a Celtic stronghold, the Castillo de los Templarios is the stuff of fairytales and as impressive as any citadel in Spain. Perched atop a hill at the confluence of two rivers, the 12th century fortress keeps lookout over the boundaries between El Bierzo, Leon and Castilla y Leon. A mix of hexagonal-shaped rooms, towers and archways, tours are available from May until October. 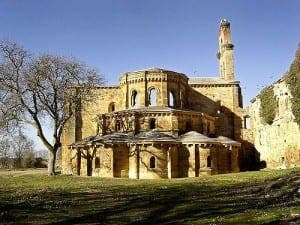 The first ever Carthusian monastery built in Spain, the Cartuja d’Escaladei was commissioned by no less a mortal than King Alfonso II in 1194. 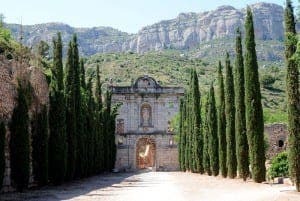 However, royal patronage and holy heritage clearly counted for nothing and what must, at one time, have been the most beautiful building in Priorat, Tarragona, was seized and largely destroyed in 1835. Today, you can still see vestiges of its former glory on a visit to the ruins, while much of the original furniture and paintings remain amazingly intact. On your bike in the Serrania de Ronda!